From the Wallet Manager, start by creating an account to hold your Bitcoin addresses. After giving the account any name you would like, click the '+' button next to the input field to create the account within Blockpath and QuickBooks. Once the account is created, continue by adding your Bitcoin addresses into the account in a similar manner, by pasting them into the "Add Address" box within the account and clicking the '+' button. After an address sub-account is created, Blockpath will immediately begin importing transactions into QuickBooks if sync is enabled. During initial setup, we will wait until you confirm all addresses have been added to the Wallet Manager to begin sync. xPubs can be added using the same input field used to create accounts. When an xpub account is created, Blockpath automatically adds any used addresses into the account. 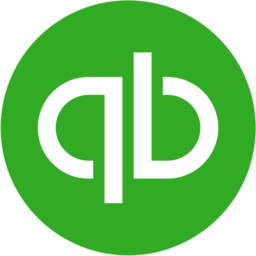 Unlike standard addresses, we will not create separate sub-accounts for each address in QuickBooks. xPubs can have hundreds of addresses within them, so we list all transactions under the xPub account rather than separate sub-accounts. Blockpath can also store addresses that will not be synced with QuickBooks. Open the 'Create Non-QuickBooks Accounts' section at the bottom of the wallet manager to show the default account 'Individual Addresses', and create new accounts as well. These addresses will not affect your capital gains reports. Comment below if you have any questions or feedback! π Rendered by PID 31579 on ip-10-0-0-43 at 2019-04-24 16:47:20.996172+00:00 running f838d3f .